Need answers? We’re here to help. Susceptibility-weighted Imaging leverages an MRI machine’s powerful magnets to identify iron-rich areas of the brain, which often indicate cerebral hemorrhaging and other pathological conditions. QUIET MRI provides greater patient comfort with up to 97% noise reduction during an exam. Digital Subtraction CT Angiography is used to detect intracranial aneurysms and other cerebral vascular diseases. Total Imaging Matrix (TIM) technology improves image quality and eliminates the need for patient repositioning and coil changes, reducing the average exam time from 55 to 45 minutes. NeuroQuant® software measures volumes of various brain structures to guide treatment for Alzheimer’s disease, traumatic brain injury, multiple sclerosis and other nervous system disorders. At AHI, we offer the same high-quality MRI and CT scans as hospitals for up to 75% less. With options for same-day, next-day and weekend appointments, we also offer speed and convenience you won’t find at any hospital-owned facility. What’s more, your appointment will never be bumped up, pushed back or canceled to accommodate someone else’s emergency.  AHI is fully accredited by the American College of Radiology and the Intersocietal Accreditation Commission. These accreditations allow us to accept reimbursement from the vast majority of insurers, while most other outpatient providers rely on self-pay. Each of our 24 conveniently located centers also features state-of-the-art imaging equipment – a vast improvement over the older-model machines used at most other outpatient facilities. Between high-field MRI, contrast studies and emerging technologies such as DTI brain MR and Accelerated Breast MRI, our in-house equipment ensures your doctor will get the clearest images and most accurate reports possible. Finally, we pride ourselves on providing timely exams and a comfortable, inviting atmosphere. Many of our procedures last just 30 minutes or less, and our updated equipment, friendly staff and modern amenities will help you feel at ease.